The Edithorial: More tea, Socrates? "Why Am I Smiling like This?" I had intended to write a light-hearted blog for the holiday season. The FOMYC (Father of My Children) thinks that I Need to Lighten Up. But what has been going round my head today is an ancient statement on slavery. In the ninth book of Plato’s Republic, Socrates asks, ‘Suppose some god should seize a man who has fifty or more slaves and waft him with his wife and children away from the city and set him down with his other possessions and his slaves in a solitude where no free man could come to his rescue. What and how great would be his fear, do you suppose, lest he and his wife and children be destroyed by the slaves?’ ‘The greatest fear in the world!’ comes the instant reply. The horrifying implication of this interchange is that EVERYONE in antiquity assumed that slaves held in any numbers felt murderous violence towards their owners and would slaughter them immediately if there were nothing to prevent them—the lash, neighbours, the army, the state. What reminded me of ‘Socrates on Class Hatred’ was not the amount of cooking and washing-up I have done over the last week. It was the violent deaths of M.K. Bhattacharjee and his wife, tea plantation owners in Assam, allegedly at the hands of their own workers. The ancestors of the tea pluckers of Assam--who are mostly exploitable and often malnourished women--were members of tribes imported there forcibly by the British in the mid-19th century. 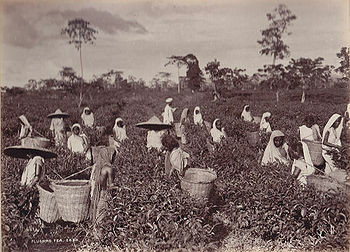 The colonisers had previously imported Chinese male labourers to the new plantations, but had failed to reduce them to acceptable levels of obedience. I only know this because as a child I did a project on tea at school. 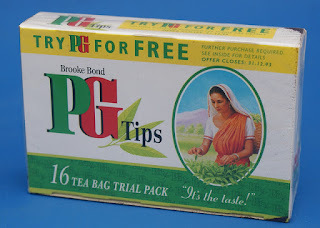 I asked some questions because I was so fascinated by the beautiful woman smiling, as if she had been given a lobotomy, on the PG Tips adverts before they replaced her with chimpanzees. 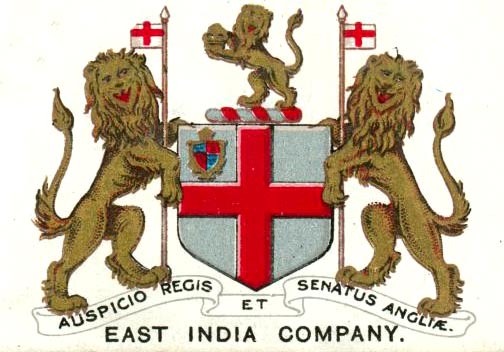 The ethnicity of those who extract profits from the tea workers changed after Indian Independence in 1947. But the paltry wages and dire conditions still haven’t. There are reports that the issue in this week's incident was failure to provide the accommodation to which permanent tea workers are entitled under the Assam Plantations Labour Act (1951). None of this is amusing. 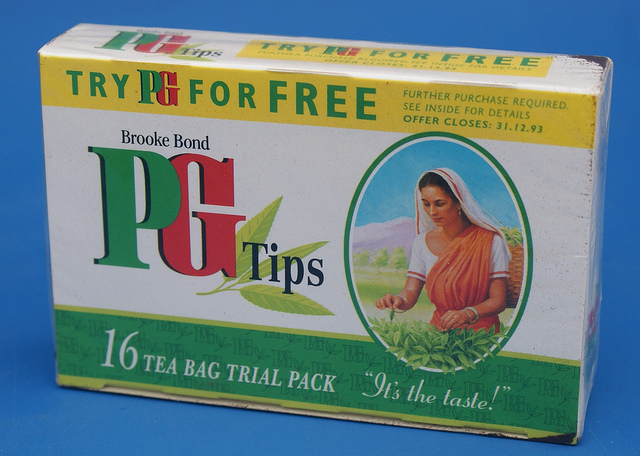 Off to put the kettle on, brew up a cup of (Fairtrade) Assam, and try to focus on the New Year. When this kind of violence occurs, how many of those who become party to it really intend or understand that this is what is happening? In the space of time over which these events occur, how many of those involved retain the ability to connect their individual actions with those of others and their likely effects, and how many act, in whatever small way, not realising until much later the likely consequences? Same with football violence, or looting and rioting; probably the same with pillaging soldiery. The mob permits and produces much that most of the individuals comprising it probably would not. I suspect some of the powerful and privileged's fear of the masses stems from fear more specifically of the mob. It seems to me that part of what happens when notions of class or status become establised is that the tendencies of the mob are ascribed to the lower and more numerous sections of society generally. Separating the tendency from the circumstances that allow it to surface - and then from the fact that these would seem to affect certain sections of society more widely than others - is very hard (I'm not sure I'm doing a terribly good job of it here) and events like these both reinforce prejudices and make proper analysis of the causes more difficult. I'm not sure anyone is really comfortable honestly discussing the aspects of human nature - individual and collective; as they apply in the immediate circumstances, or as they function over generations to create those circumstances - that allow any of these things to happen.